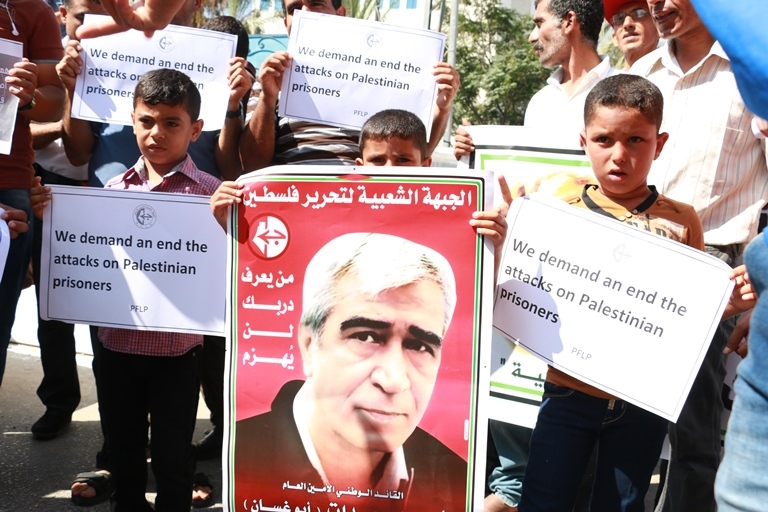 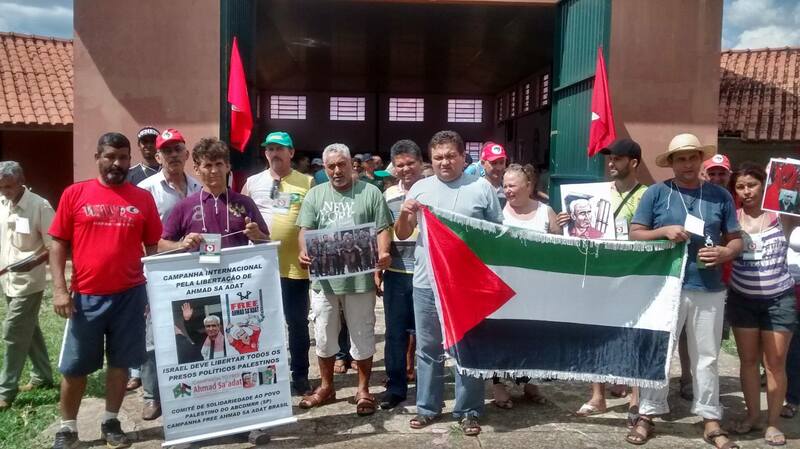 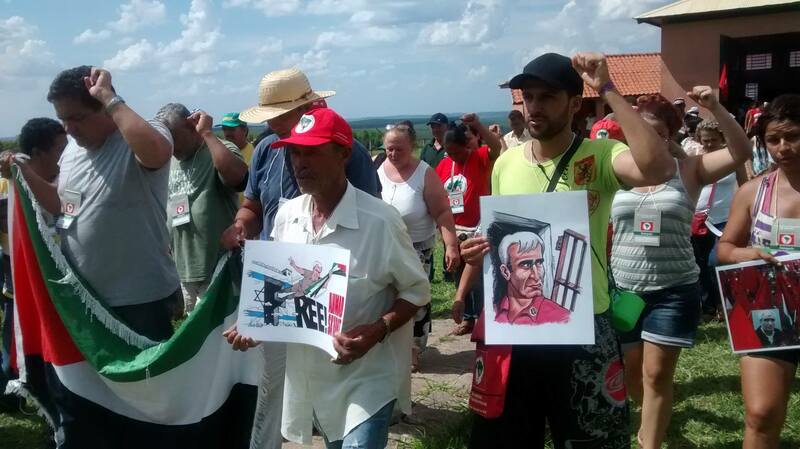 The Landless Workers Movement (MST) of Brazil, the Brazil Campaign to Free Ahmad Sa’adat, and the ABCDMRR Committee of Solidarity with the Palestinian People organized an action to call for the freedom of Ahmad Sa’adat and all Palestinian prisoners. 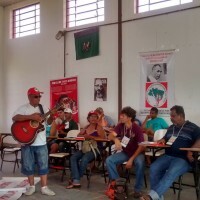 200 popular leaders of the MST organized the Rosa Luxemburg Popular School of Education on January 15, marking the anniversary of the assassination of the revolutionary Rosa Luxemburg in Germany in 1919. 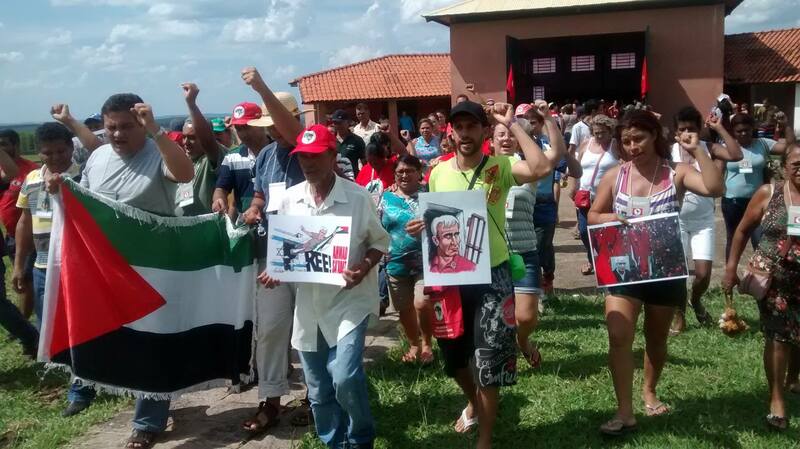 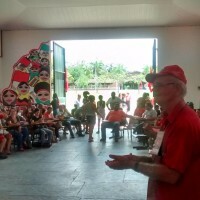 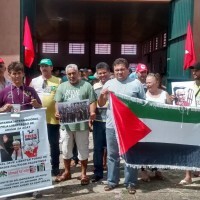 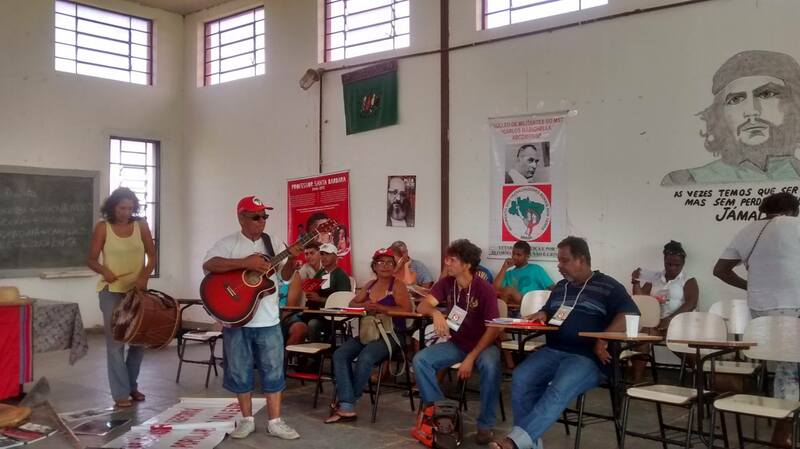 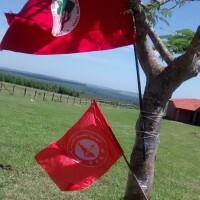 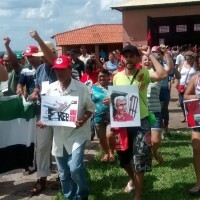 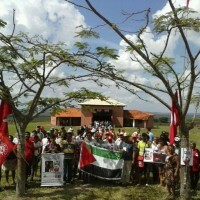 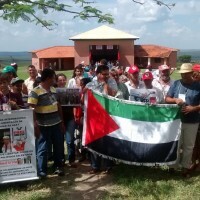 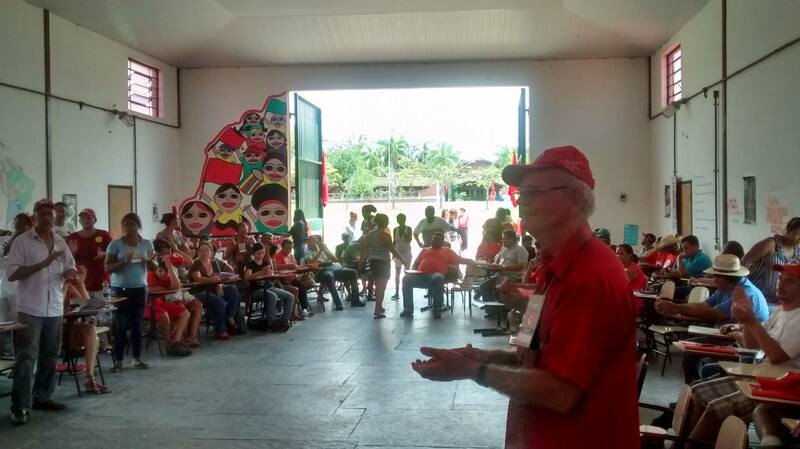 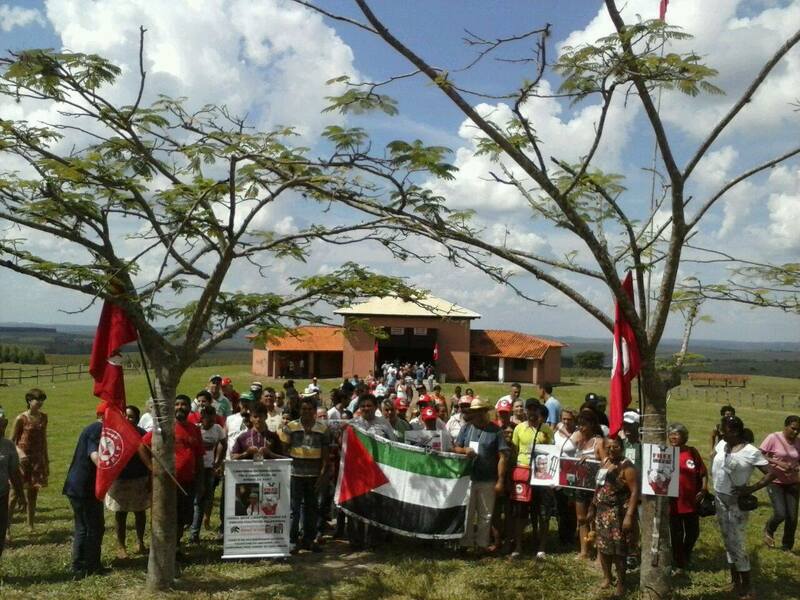 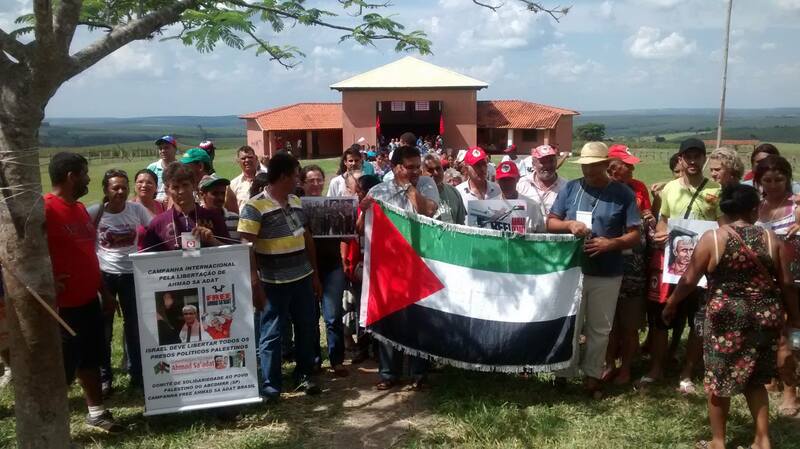 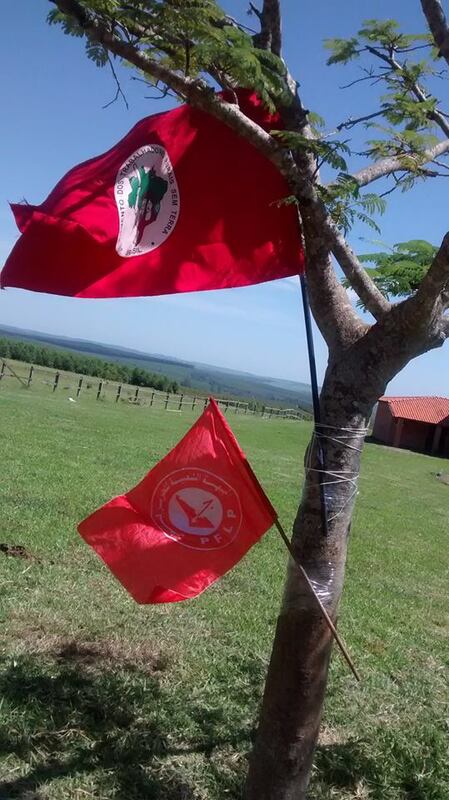 The event, in the town of Iaras, São Paulo, Brazil, was held on land that has been occupied and reclaimed by the landless workers for agrarian reform, and was part of the international day of action in cities around the world organized by the international Campaign to Free Ahmad Sa’adat. 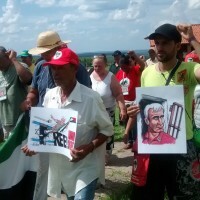 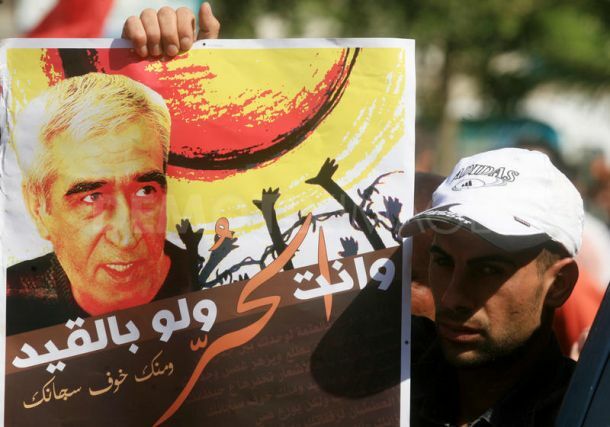 Peasants and rural workers carried posters and photos of Ahmad Sa’adat, imprisoned General Secretary of the Popular Front for the Liberation of Palestine (PFLP), and expressing their support for the right of the Palestinian people to struggle and resist Israeli occupation, for Palestinian refugees’ right of return, and for the international struggle against Zionism and imperialism.